Rory has visited the Troutbeck Head Caravan and Motorhome Club Site, to learn more about the contribution of caravanning to the local economy. Troutbeck Head Caravan and Motorhome Club Site, nestled under Great Mell Fell and looking up to Blencathra, has welcomed visitors to the Lake District for decades. Mr Stewart was met by Phil Monkman, the Caravan and Motorhome Club’s Regional Manager, Site Wardens Tracy and Steve Worbey, and Assistants Annora and Den Hoole, and Debbie and Gerry Wallbank. The Site has recently benefitted from a £1.2 million redevelopment, and reopened in August. It regularly attracts caravaners from across the country, and it is estimated to bring some £1.6 million in ‘off site’ spending to the local economy. Rory toured the site with a great deal of interest, and was given further details on visitor numbers and the success of caravanning both locally and nationally. 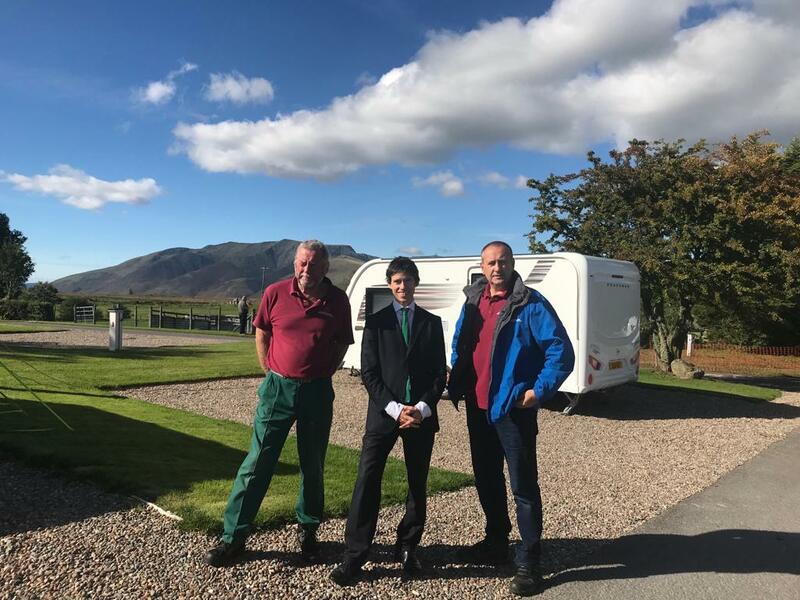 Commenting on his visit, Rory said “It was a very great pleasure to visit the Troutbeck Head Caravan and Motorhome Club Site, to hear more about its contribution to the local economy and to admire its new features. Sites like this are vital to the local economy, encouraging caravaners from across the country and, indeed, the world to come to the Lake District and see what makes Cumbria so truly special. I would like to pay a huge tribute to all of those who welcomed me and work on so successful a site”.